From the author of the Amazon Bestseller “The Prediction”. Connor Harrigan lives a simple expat life in Amsterdam, with a beautiful wife and their twelve-year-old daughter. When a bomb goes off in the centre of the city, killing his wife and putting his daughter in a coma, he is forced to confront the dark past he had desperately wanted to forget. The Shattered Conscience is a thriller intertwined with a human tale about dealing with mistakes from the past and making you question how far you would go to protect the ones you love. 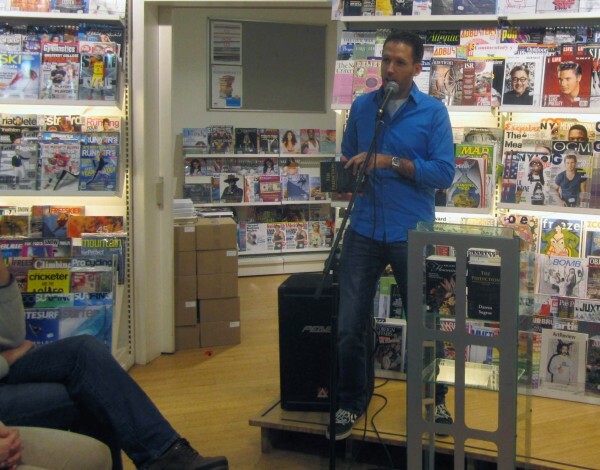 Thank you to the American Book Center here in Amsterdam for stocking my book and allowing me to present it today. It was a great experience! 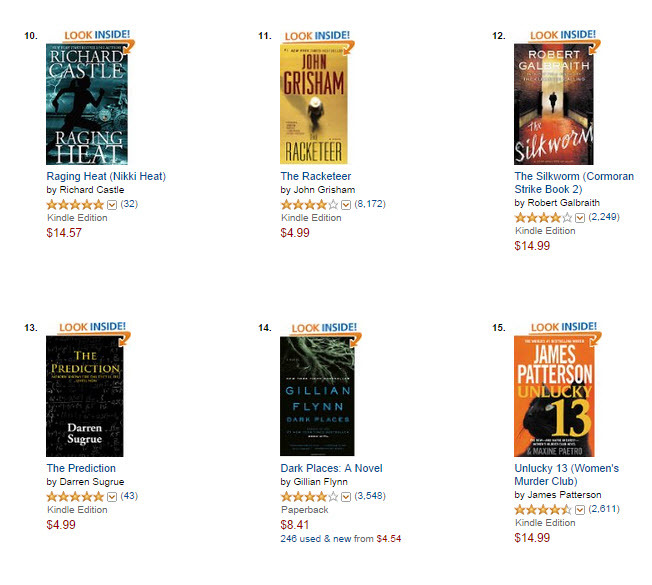 Among the likes of John Grisham, Robert Galbraith (aka J.K. Rowling) and Gillian Flynn! First 100 Reviewers - VIP List: Halfway there! 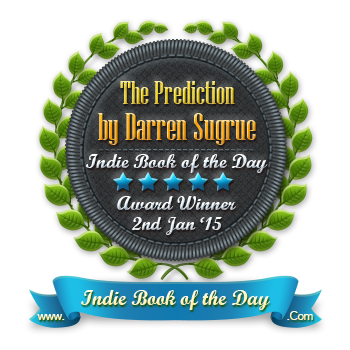 Thank you so much for those who have left such positive reviews of the The Prediction. I'm halfway through my goal of gathering 100 honest reviews by the end of 2014. I received this book from a giveaway by the author and was asked to give it a review once I finished it. Nobody knows the day they’ll die... until now. Mathematical genius Daniel Geller has developed a formula to predict a person’s date of death, only to have it rejected by the faculty at Trinity College. Totally devastated, he turns his back on the world he once loved. Twelve years on, Daniel’s old professor John Redmond and his wife are coming to terms with the death of their ten-year-old son. Could Daniel's formula have predicated his death? Revisiting the thesis, the professor makes an astonishing discovery: out of the five fellow students whom Daniel used the formula on, one of them died on the exact date predicted by Daniel. One more is due to die in six days: Daniel’s ex-lover Grace. Set in the vibrant cities of Dublin and Amsterdam, The Prediction is a powerful story about coping with shattered dreams, the loss of a loved one, and an illustration of just how unpredictable the human heart can be. What I like: The idea of the story was something I've thought about before, something that really truly intrigued me and I was not disappointed. Each character held their own and had their own distinct personalities, I didn't have to remember who was speaking because the dialogue gave me good indication with how they spoke. The cover also has a perfect tie-in to the whole story, something that pleased me when I finished the book. The interactions never seemed forced, and the tension in the book was something I could feel and it was a page turner that kept me reading. The few secrets in the book and one unexpected reveal of a past occurrence were handled very well. The book was anything but predictable at times, especially with the plot twist it has. What I didn’t like: There was a lot of Character POV jumping in the book, but after several chapters I did get the hang of it but it was initially a bit of a challenge to keep up with. Rik, he also came off a bit strange at first especially when he seemed so willing to just let Grace move in, even despite her situation. It struck me as, well it struck me a bit odd especially when it's clear in the beginning that Grace doesn't really know him, though they are coworkers so there is some leniency there, but I was able to look past that and get the idea that perhaps Rik had liked Grace for a while and that maybe he was just really concerned for her. 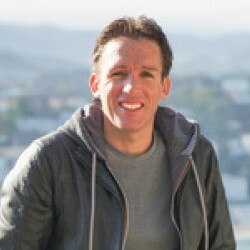 Overall review: Daniel strikes me as a very intelligent man, maybe not so much in the beginning when he's introduced but once you learn of the thesis he made twelve years prior that was rejected and that it predicted the exact day of death for someone you get the idea that he is incredibly intelligent. Grace seems to be a woman who is both a hard worker and perhaps a bit stuck in the past on occasion, but this actually adds a bit of character to her, letting you know that she's still stuck somewhat in her past even though it's been twelve years since Daniel left her. Rik, although at times a character I didn't understand with the way he was, was definitely someone I came to enjoy in the book. Claire and John both had a rather good bit of character development during the second half of the book, something I was glad to see especially with their situation and I was happy with the both of them. When I first thought I had almost reached the end I was sad, and when I found the plot twist I was astounded and frankly couldn't believe my eyes when I read it. I really enjoyed this book much MUCH more than I had expected to when I first got it. Recommend? : A definite recommendation, especially for those who enjoy something that is both realistic and has an interest in the idea of knowing the day we, or someone we know and love, will die. But really, I recommend to everyone because I ended up loving it. Thank you Z.Rose for latest review! This story revolves around Daniel Geller, a former Trinity College math Phd student who theorized a controversial formula that accurately predicts time of death. Forward to 12 years later, he spent years out of academia because his thesis was rejected. His former professor John Redmond contacts him to tell him the formula worked. So together they figure out how valid this formulation is and uncover the personal ramifications of this discovery. I made the mistake of beginning to read this book at bedtime. Who needs sleep anyway? I honestly lost track of time and didn't want to put it down. What initially drew me to this book was it's description. I love thrillers and mystery novels, so, this was precisely my alley. This is one of the most compelling, vivid, clever stories I've read in quite some time. The mere possibility of a theorem that predicts death is intriguing. Would knowing change the decisions you make in living your life? The characters are strongly defined and well-written. I particularly appreciated how Grace's grieving process was thoughtfully explored. The dialogue is paced well. Perfect mix of drama and wit. I was genuinely surprised by the twists in this book. 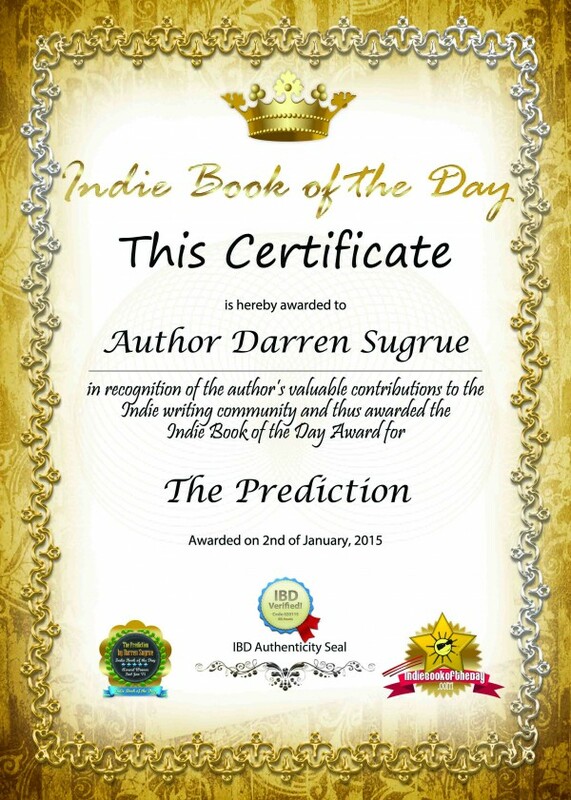 I look forward to reading everything else that author Darren Sugrue has to offer. If you're looking for a suspenseful page-turner this summer -Buy this book, you won't regret it! 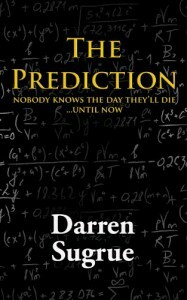 If anyone doesn't want to wait until the end of the giveaway you can download for free via http://www.darrensugrue.com/the-prediction/ in exchange for an honest review! 2 thumbs up! The attention to detail is amazing. 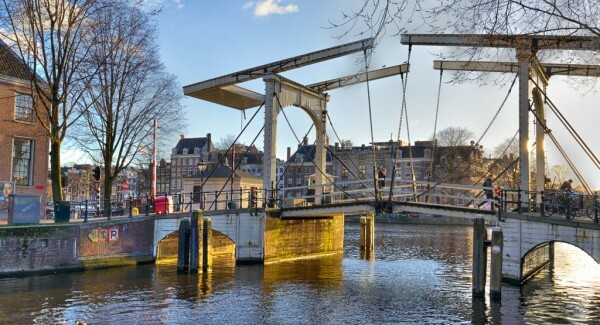 I especially loved the parts set in Amsterdam. I am looking forward to visiting the Mauritshuis when it reopens to the public and seeing Het puttertje for real. 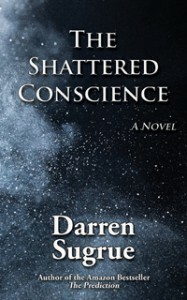 This book was offered to me by the author, Darren Sugrue. He is a new author well worth checking out, I will be waiting for his next book! 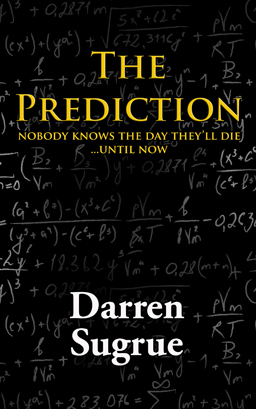 Twelve years previous, Daniel writes a thesis to prove the date of death is possible to predict. Who can really play God? And who really wants the consequences of playing this game? This is the out come of the rejected thesis. As the trial people start to die, on the given dates, Daniel has to choose between bringing back to life his thesis or protecting the people he loved. Not a simple job. Again the question is can anyone really play this game and enjoy the outcomes. An extremely well written, capturing novel. It kept me wanting to turn each page. There didn't seem to be a dull moment as the chapters switched between the characters lives. 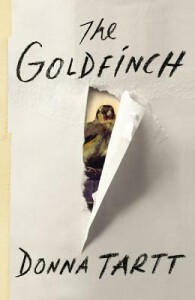 I was intrigued as to the outcome of a story like this and I enjoyed the whole novel from the opening pages. Definitely full of suspense. This is an adults book. It contains coarse language. Running out of time to buy a gift for Mother's Day? Does she like drama/ thrillers? 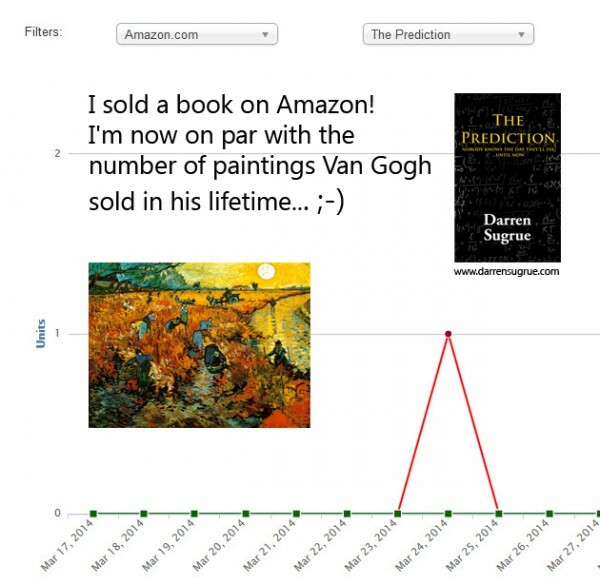 Download "The Prediction" for free! "Compelling and dramatic story with excellent characters..."
"...a real page turner and hard to put down"
Did Van Gogh do that?